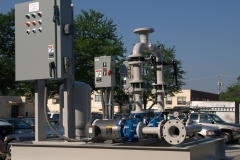 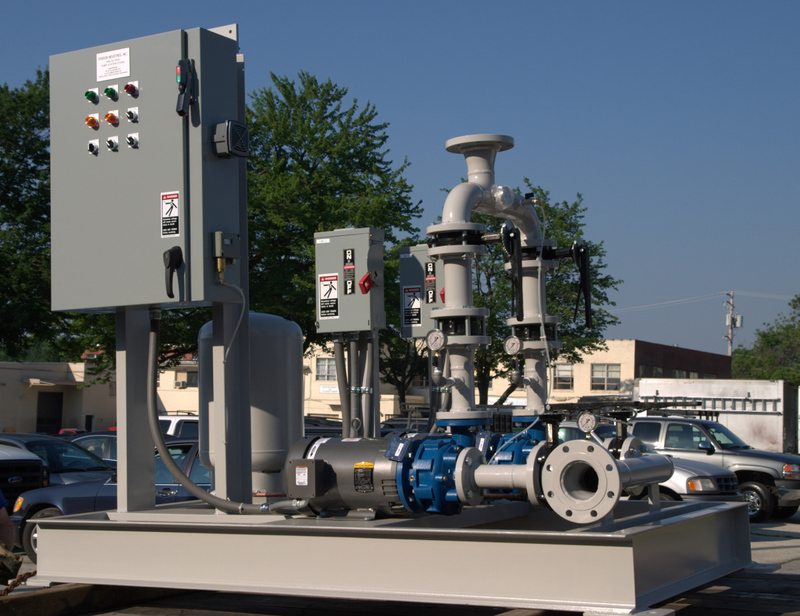 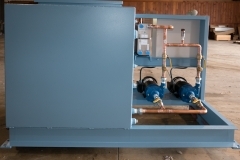 Pump Skids and Reservoirs | Robson Industries Inc.
Robson Industries Inc. Pump Skids and Reservoirs share the same rugged construction and smart design as the rest of our water cooling and filtration systems. 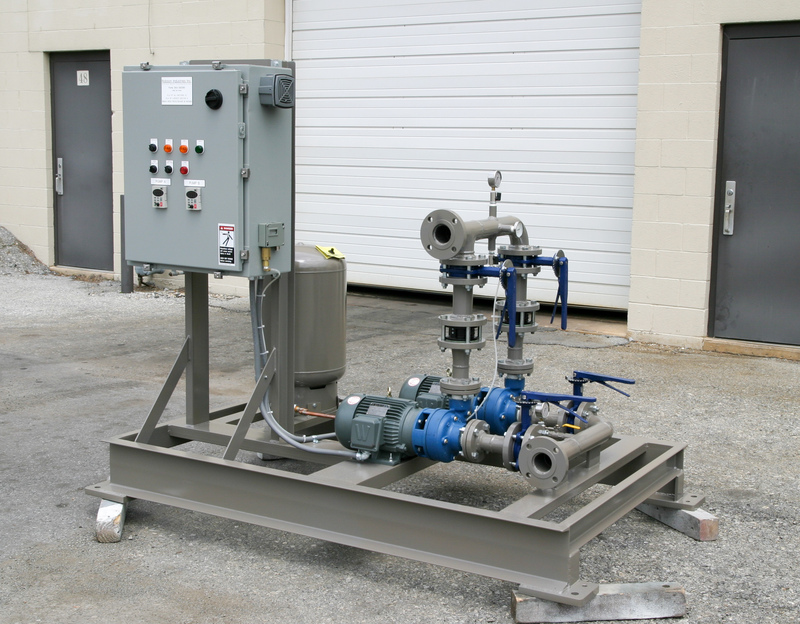 We have a variety of standard offerings, or can custom design something to meet your exact requirements. 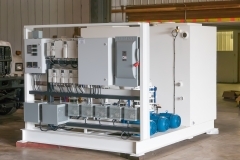 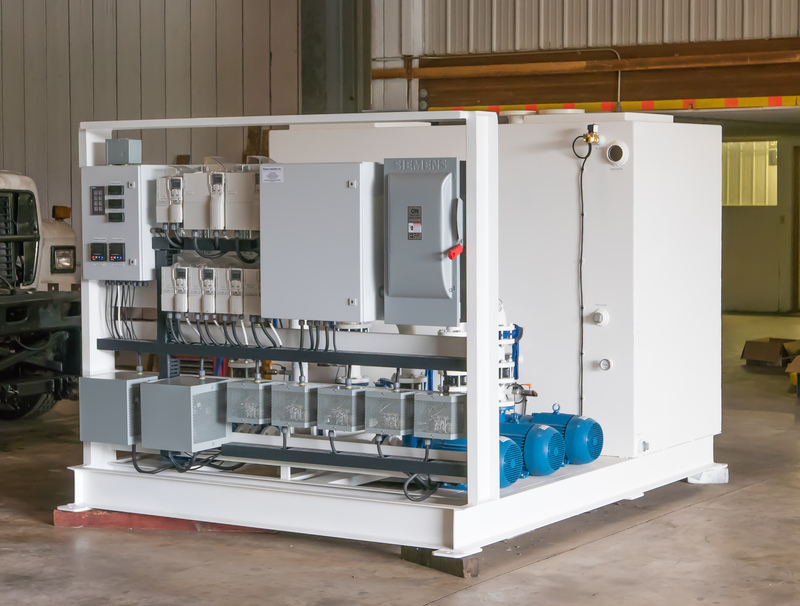 Every Pump Skid features an epoxy coated structural steel frame and your choice of motors, pumps, and controls. 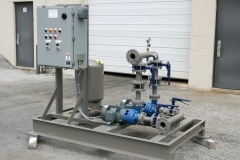 Variable Speed Drives and Automatic Switching Duplex Pumps are available, along with a variety of process control and communication options. 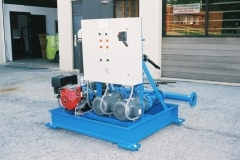 Standard Duplex Pump Models are available from 3 HP to 40 HP, with standard fluid pressures of 30 PSI and 65 PSI. 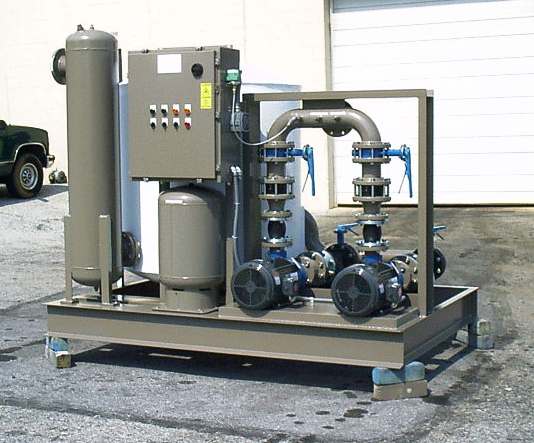 Of course, variations of this are available, and we can match the pumping system with an appropriate design for any fluid temperatures, viscosity, or chemical make-up. 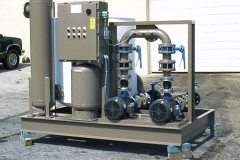 Robson Industries Inc. reservoirs have been used for industrial processes and HVAC applications. 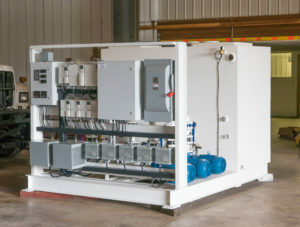 Copyright © 2019 —Robson Industries Inc. • All rights reserved.